When you are facing serious financial difficulties, should you engage in discussions with your creditors to try to work out a repayment plan, or would you be better off seeking protection from the bankruptcy court? If you can reach an agreement with your creditors to resolve financial problems and enter into an out of court workout agreement, you may be able to avoid filing for bankruptcy relief. Although bankruptcy is still an option if your efforts to reach an agreement fail. To help you determine how best to proceed, you should seek assistance from an attorney experienced in workouts and bankruptcy cases. Expense: A workout is much less expensive than bankruptcy. You should work with counsel during an out of court workout. 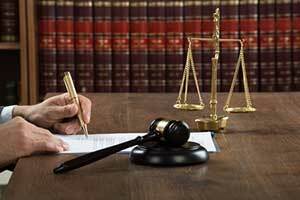 Although you will incur attorneys fees, they will be significantly less than attorneys’ fees in bankruptcy and you will avoid the additional costs associated with court related expenses. Informal: The workout process is informal, certainly much less formal than bankruptcy, and your workout arrangement does not need to comply with the notice and hearing requirements of the Bankruptcy Code and Rules. Private: Unless the debtor is a publicly traded company or is a prominent member of the community, a workout arrangement by itself is unlikely to be newsworthy, and the debtor has no legal duty to disclose the agreement publicly. Unsupervised: Actions such as using cash, selling assets, or hiring experts can be taken without the oversight of a bankruptcy court, other creditors, or other parties who may seek to exercise some control over the action. Fast: Reaching an agreement, when an agreement is possible, usually takes much less time than the time it takes to complete a bankruptcy case. However, you should be aware of a few negatives of out of court workouts compared to bankruptcy. The primary negative is that your creditors can continue to pursue collection actions during your workout negotiations. Working with your attorney, you should try to get a forbearance agreement to stop collection attempts while your negotiations are pending. Other negatives include the possibility that one or two creditors can refuse to consent to any payment reduction or workout arrangement. In such a case, you may need to seek bankruptcy relief for the advantages it offers by requiring that similarly situated creditors are treated alike.. If you are lucky enough that most creditors agree to a workout proposal, you may be able to avoid bankruptcy, or you can use the proposal as the basis for a chapter 11 plan. Although a workout is preferable to bankruptcy in most circumstances, exceptions can arise. You should understand that bankruptcy offers some advantages that may make it preferable to a workout. One of the most significant benefits is court oversight of the workout process. A workout in bankruptcy is available under chapter 11 bankruptcy for most businesses, chapter 12 for certain farm operations, and chapter 13 for an individual consumers. Court supervision operates as a shield to protect the debtor and other creditors from one or more aggressive or unscrupulous creditors. For this reason, creditors offer prefer a workout under the Bankruptcy Code. Amicable: Bankruptcy courts are amicable to debtors who are acting in good faith. After all, the purpose of the Bankruptcy Code is to provide a fresh start to honest, but unfortunate debtors. Automatic: Stay Once the bankruptcy is filed, the automatic stay prohibits all attempts by creditors to collect debts from the bankrupt debtor. A creditor must obtain court approval to pursue any actions to recover property from the debtor. Code and Rules Apply. The Bankruptcy Code and Rules apply to determine the validity of creditor claims; set priorities in payment; establish a time frame for repayment; and provide a forum to propose and confirm a plan of reorganization. Debt Modification and Cram Down: Bankruptcy courts generally will support a debtor’s good faith effort to reorganize by modifying debts. For that reason, creditors have more incentive to cooperate with the debtor’s reorganization attempts. Creditors know that as long as the debtor meets the criteria for reorganization under the Code, and they will be paid at least as much as they would be paid if the debtor liquidated its property, the court will approve the plan over the objections of creditors. Once the bankruptcy court approves a plan, all other debt is discharged and cannot be collected from the debtor. Time: Bankruptcy buys time. In a chapter 11 case. For example, only the debtor can propose a plan of reorganization during the first 120 to 180 days of the proceeding. If the debtor cannot make the payments under the plan, the debtor can convert the case to a chapter 7 liquidation case. These are significant benefits that you should consider in deciding whether to seek bankruptcy relief. Bankruptcy has important negatives that you should understand. The primary negative is the expense. 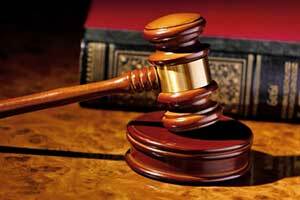 Court costs, attorneys’ fees, and other experts’ fees will have to be paid out of the estate. Other negatives are that the debtor’s financial records will become public, and the debtor in a chapter 11 reorganization must satisfy the debtor-in-possession responsibilities it will have while operating the business. Also, most of the debtor’s actions are subject to court approval. Equity infusion (new or existing shareholders provide cash infusion). You will need to make these determinations, with the assistance of a financial expert, such as a turnaround consultant or accountant, before you propose a workout solution to your creditors. If, with the assistance of those experts, your financial projections cannot prove that your business will survive, you will likely need to liquidate the business assets in a chapter 7 bankruptcy proceeding. These decisions are important to your financial well-being. You may only have one bite at the apple. Make sure you consult an bankruptcy and workouts attorney with experience in these cases to help develop the best strategy for you.